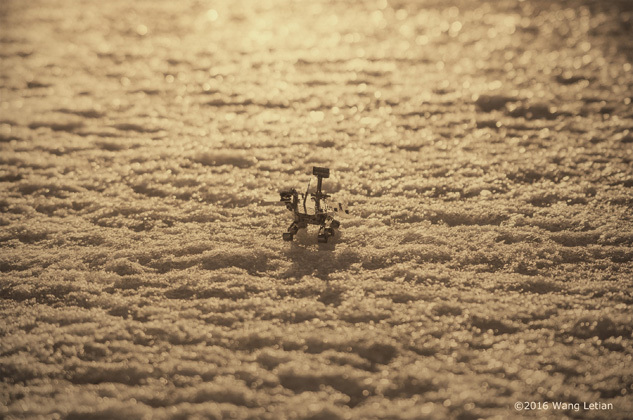 Curiosity is now walking on the ice of Mars, it is real? Oh, it is false. In fact, the Curiosity is a model which is made of iron sheet. And it is not on the Mars but on a frozen lake of a park at Beijing, China. I take this image in February 2016 in the winter of Beijing. I just change the picture color on the computer after I take the image. I know relative evidence shows the ice may be on the Mars and I hope it will be true in the future.